Summer brings a whole slew of tourists to Chicago, especially our neighborhood. We spot them from the opposite end of the block as they meander down the sidewalks, four across, aimlessly looking to fill their hungry stomachs. We’d love to have you visit, and I suspect you’ll enjoy your trip more if you’ve got a fun and family-friendly itinerary. Traveling with little ones requires a little more forethought and some strategic planning to make time for naps, slow transitions between events, kid-friendly restaurants, and early bed times. We’ve also learned the hard way after our trips to Switzerland and Turks & Caicos with babies and toddlers that packing a few specific items can be game-changing. 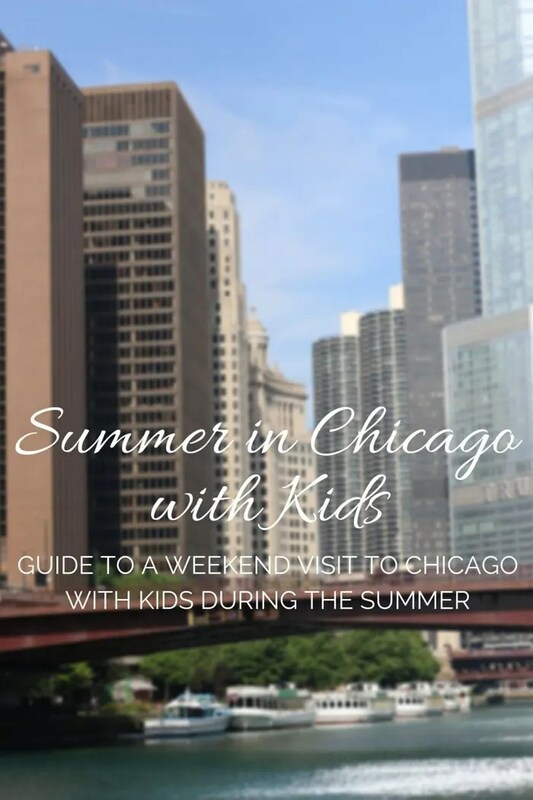 So without further ado, here’s a local’s guide of what to do and what to bring for a long weekend in Chicago with kids! Presumably after several hours of travel, a quick and easy dinner best suits hungry bellies and tired babies. After checking in to your hotel, a quick burger might be your best bet. While you could hit up the Rock ‘n’ Roll McDonald’s, an impressive building but obviously less than impressive food, I’d recommend a local fast casual burger joint. Dinner | M Burger ~ You’ll find a few locations downtown where you can find simple burgers, fries, and milkshakes. Each location has a small indoor eating space, but you can sit at one of many outdoor tables along the sidewalk at any of the locations. On a summer evening in Chicago, outdoor seating rocks, especially for noisy kiddos. 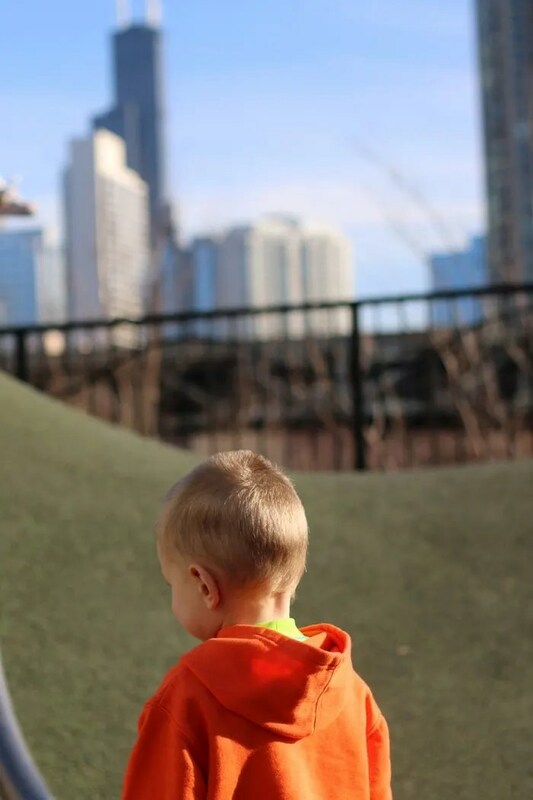 After Dinner Play Time | Seneca Playlot Park ~ If you have some time before bedtime, head to the park just across the street from Chicago’s oldest water tower (the only surviving element of the famous Great Chicago Fire of 1871). That’s T on a wild swinging adventure at Seneca Park. Dessert | Ghirardelli Chocolate Company ~ Skip the milkshakes at M Burger and grab chocolate and/or ice cream sundaes at this cute ice cream and chocolate shop just a block or so from Seneca Park. Ice cream and chocolate from a US gourmet chocolatier. Need I say more? Bedtime | Head back to the hotel for a good night’s sleep. I’ve got a big day planned for you. Open up the stroller and put on your walking shoes. 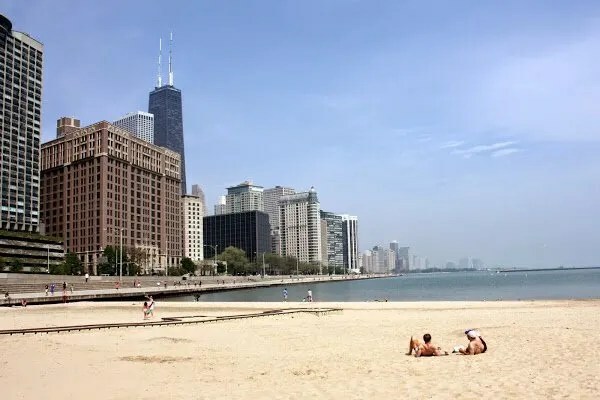 For a real taste of two historic Chicago neighborhoods, take the kiddos a couple of miles north from the tourist area of Chicago to Old Town and Lincoln Park. Breakfast | Nookies ~ This popular diner gets pretty busy, full of locals by around 10am or so. You might have to wait a bit, but if you arrive by 9 or 9:30 am, you’ll likely be ok. Head to the location at 1746 N Wells St to stay close to the next stop on the agenda. On a nice day, it’s a healthy walk from the hotel area (River North neighborhood) to the restaurant. It’s about a two mile walk. If that’s not in your wheelhouse, hop on the 36 or 22 bus and head north, getting off at Clark and Lincoln. The 151 bus will also take you to Stockton and Lincoln just a block or two from the restaurant. Check out the CTA website for more info about routes and ‘L’ and bus fares. Of course, you can always jump in a cab or Uber too. They are easy to get as well. Morning Activities | Green City Market and Lincoln Park Zoo ~ Just a 10 -15 minutes walk from Nookies on Wells (in Old Town), walk through Green City Market at Lincoln Park, one of Chicago’s largest farmer’s market. I know you won’t be stocking up on fresh produce for your fridge, but if you still have space for a little more food, you could grab a crepe. You could also stop here as an alternative to breakfast if you prefer some fresh fruit, a muffin from a local bakery, and some cheese and crackers. Keep walking east toward Lake Michigan and enjoy a free visit to the Lincoln Park Zoo. In addition to the traditional animal viewing, you can also check out the special farm section with a petting zoo. Lunch | Portillo’s ~ It’s not gourmet at all, but it’s a Chicago tradition. You’ll find the original location of this hot dog joint right downtown. Order a hot dog, chili cheese dog, or Italian beef. Naptime ~ Head back to the hotel and grab a book or listen to a podcast while the little ones sleep in the hotel. Fighting much needed naps probably ruins the rest of the day. Afternoon Walk ~ After a long morning and slow transitions with the little ones between activities, I anticipate you won’t have much time before dinner. If you do, just take a walk around the neighborhood. We like to walk along the river. 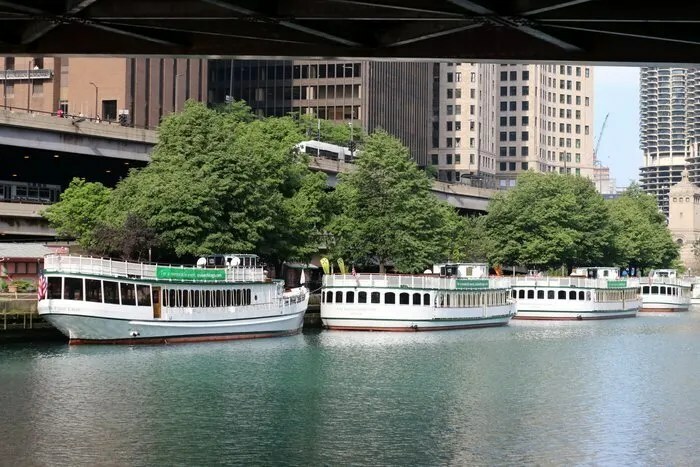 Chicago continues to revamp the riverwalk, so parts are under construction, but much of it is great. 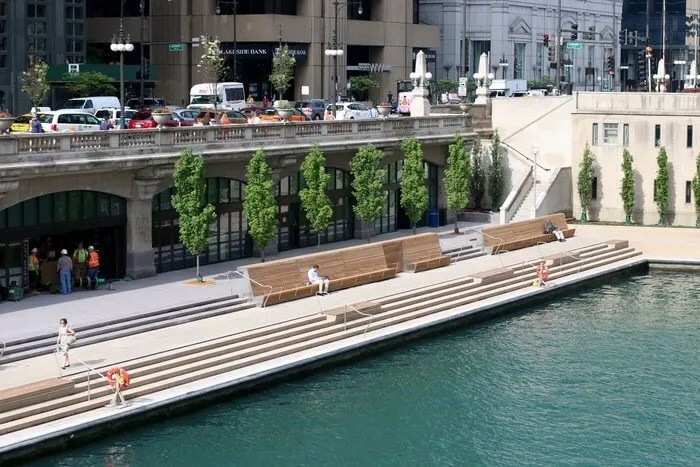 At State Street and Wacker Drive, take the stairs or the ramp down to the river front and enjoy a walk along the water. Below, you can see the brand new section of the riverwalk that just opened a couple of weeks ago. Dinner | Lou Malnati’s ~ Not many people visit Chicago without chowing down on a piece of Chicago’s famous deep dish pizza. Although you might be inclined to check out some other spots, I really think Lou Malnati’s is the best of the bunch. Resist the urge to fall into the most touristy of the deep dish pizza locales and stick with Lou’s. Also, be forewarned about the sausage deep dish pizza. Some love it; I hate it. Instead of chunks of sausage, the pizza has a thick layer of sausage, a patty essentially, covering the entire pizza and hiding under the cheese. It caught me off guard on my first visit. You can check out one of two locations. The River North location is a bit closer to the post dinner plans I mention, but the Gold Coast location is much larger and might have more availability. Either are within a reasonable walk or cab ride of the traditional tourist hotel area. Dessert & Post Dinner Walk | Dylan’s Candy Bar ~ Take a walk down Michigan Avenue after eating all that pizza. You can stop by Dylan’s Candy Bar and immerse yourself and your kiddos in an overwhelming amount of candy. 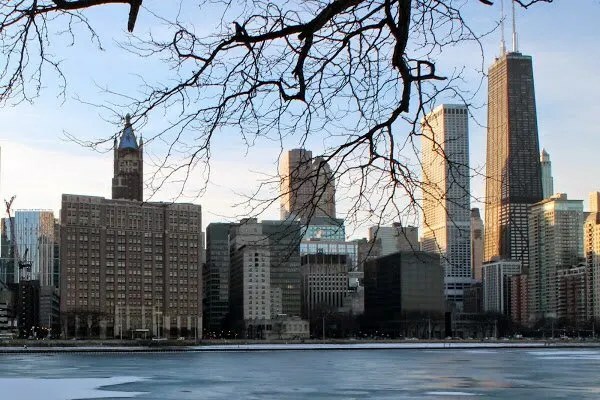 After picking up a thing or two, head to Wabash street bridge for an up close view of the Trump Tower and a perfect view of the Wrigley Building and the skyline along the river. You won’t find a better view of the river skyline from the streets of Chicago, especially at night. I suspect the family will be thoroughly exhausted by the end of the day. I know the food selections aren’t the healthiest, but I also wanted to share some Chicago specialties. 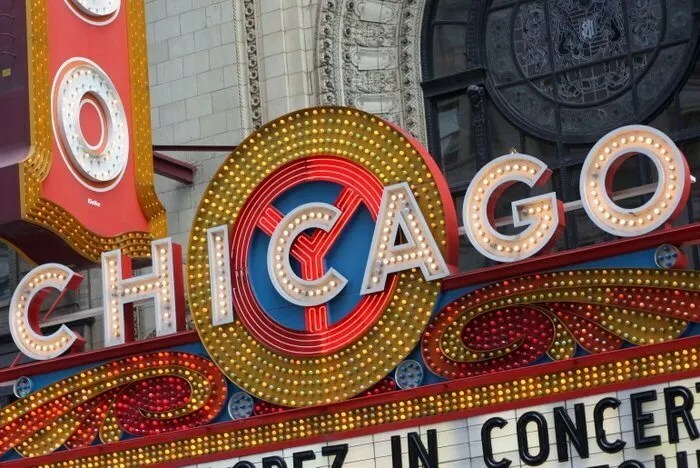 If you’d prefer some more formal, sit down options, check out the options I included on my original Weekend in Chicago itinerary. I intended that post for a more adult audience (sans kiddos) but it has loads of great suggestions, especially if your children tend to be more adventurous and eat well at “adult” restaurants. Bedtime ~ No one likes bed time, but it’s time to get some rest. Save the energy for another exciting day tomorrow! Breakfast | Donuts ~ Gourmet donut shops popped up all over Chicago over the last couple of years. Our boys love grabbing a donut for a special breakfast. We don’t go often, but they like the indulgence. Choose your favorite from this comparison of all the local gourmet donut shops in the downtown Chicago area. 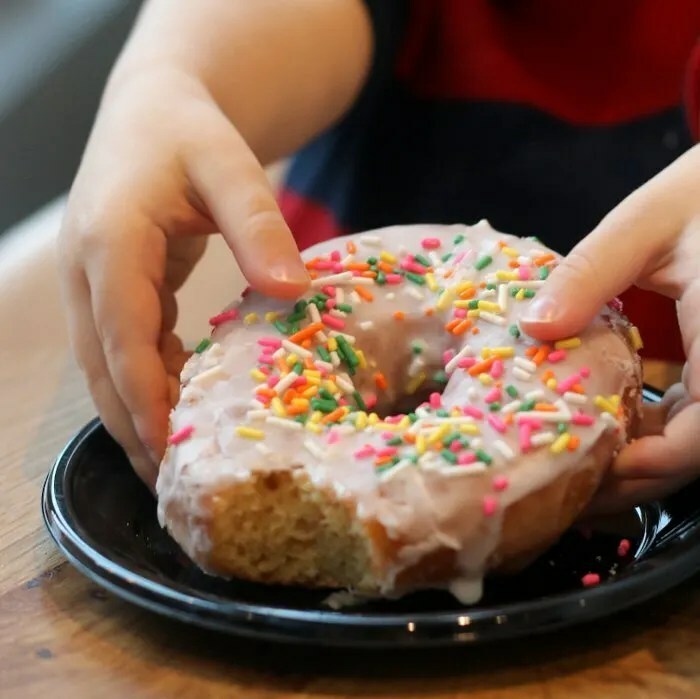 You could also grab donuts and stop at a downtown grocery store to complement the donut with fruit, water, or other healthy snacks. Depending on where your hotel is, you probably have three options. Grocery store located at Ohio Street and State Street. Enjoy your breakfast picnic on the small plaza across the intersection from the grocery store at State Street and Grand Ave. We occasionally enjoy a snack on the small plaza though we head to the back side of the building where you’ll find some stairs and ledges to sit on, a coffee shop, and a more enclosed area to contain the young ones. Grocery store located at Fairbanks/Columbus (the street changes names right there) and Grand Ave. From the store, head east toward the lake about a block and half, just past McClurg Ct, to find a park with plenty of benches and open space to run around. I guarantee you won’t find any other tourists here; this is definitely a local spot. 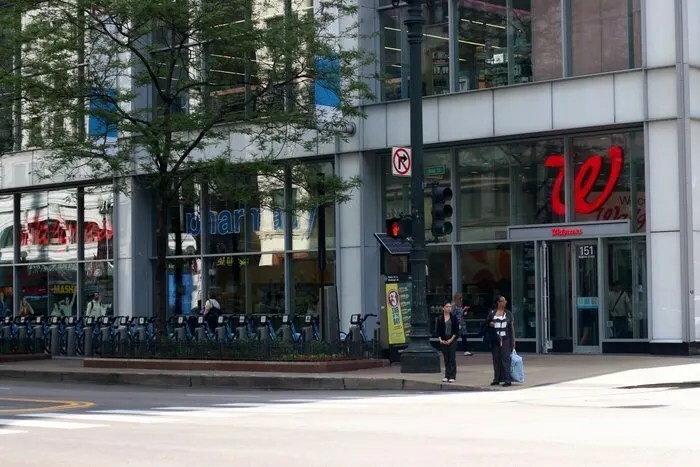 If you’re in The Loop, the financial and business center of the city, you’re just blocks from the original Walgreens location. Recently, they rebuilt this store making it an impressive, two-story store with floor-to-ceiling windows. 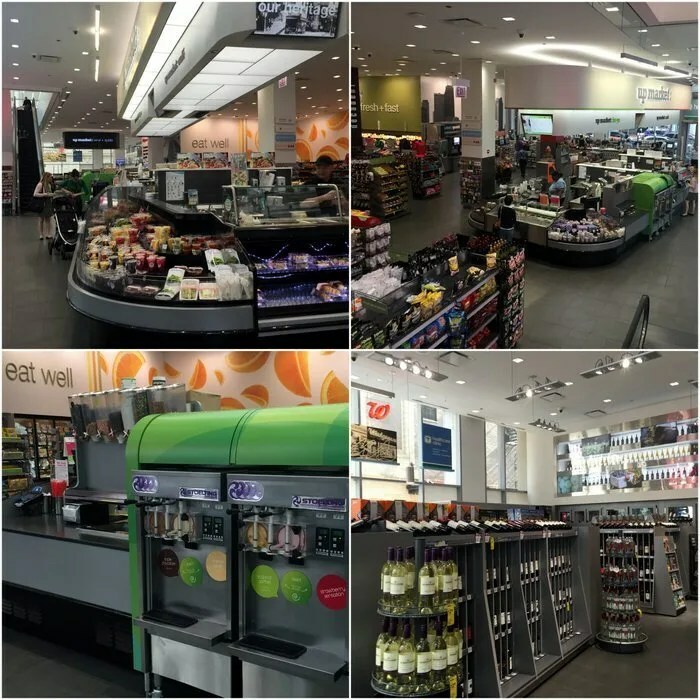 Not only do they have the traditional Walgreens selection of items, but they have Up Market, shelves of fresh fruit, self-serve frozen yogurt, sushi and several other ready-to-eat whole food market items. It’s pretty impressive. 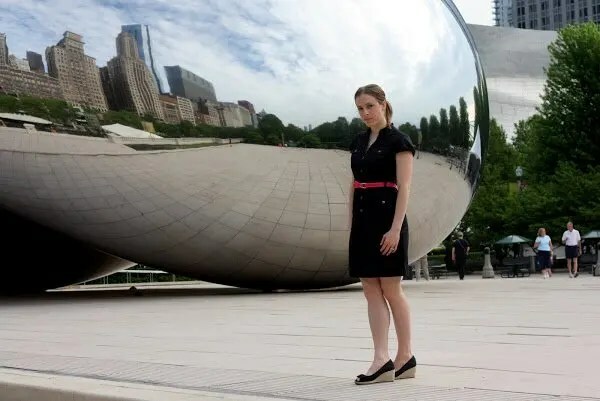 While you’re at Millenium Park, stop by nearby Maggie Daley Park. This brand new park between Millenium Park and Lake Michigan is jaw dropping. Rock climbing, ice skating in the winter and multiple huge play spaces easily make this the most impressive park I’ve ever seen. This gives you just a taste of what the park offers. You can see more of it on Instagram. Morning Activities | Ohio Street Beach, Milton Lee Olive Park & Navy Pier ~ Ohio Street Beach sits right next to Milton Lee Olive Park. The park offers an amazing spot for a quick family photo with a bit of Lake Michigan, the Hancock Tower and a great Chicago skyline in the background. You’re also not far from Navy Pier. Although it’s not my favorite spot in Chicago (it’s a total tourist attraction), it’s worth checking out. You’ll get a gorgeous view of the city skyline too! The Pier is surprisingly long. If you plan to walk to the end and back, expect a 30 – 45 minute walk, especially with little ones distracted by the ice cream, candy, and other treats along the way. By now you’ve done a ton of walking. Navy Pier runs a free trolley between the hotel areas and the Pier. You could also take a water taxi, which the little ones would probably love. Lunch | Pizzeria Via Stato ~ For a grown up meal for the adults that also satisfies the kids, this is a great option. Many items on the menu are wonderful, but we always order the veal meatballs for the kids. Be sure to order the roasted garlic and bread as well. They are amazing! Naptime ~ You know the drill. Snuggle up with your book and enjoy some peace and quiet. 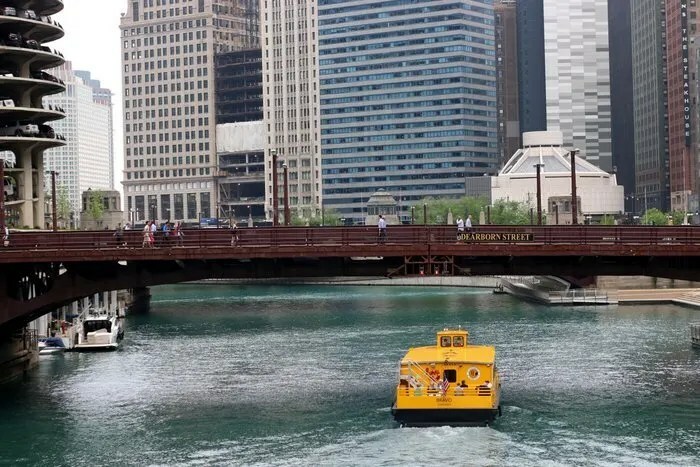 Afternoon Activities | Skydeck at Willis Tower (formerly known as the Sears Tower) ~ Take the Chicago Water Taxi down the Chicago River (that yellow boat below) and you’ll end up just a few blocks from the Willis Tower. Get on at the Mag Mile stop and get off at the Ogilvie/Union stop. Many locals use this for commuting, but on a nice day, it’s awesome just for the ride. The kids will certainly love a quick boat ride along the gorgeous river skyline. Once you arrive, heading up to the Skydeck is pretty straightforward. Although it’s definitely a tourist spot, it’s worth stepping out on The Ledge. It’s safe, no worries, but it will probably get your heart pumping a bit. Just do it! Dinner | Multiple Options ~ For something quick, head across the river from the Willis Tower to Clinton Street, which runs parallel to the river. I love Hannah’s Bretzel (@ 555 W Monroe St), but you’ll find lots of standard fast casual places like Chipotle or Cosi. If you’d prefer a fancier sit down dinner, consider a traditional Chicago steakhouse dinner at Erie Cafe. You’ll likely need a reservation, but they have lots of outdoor seating. 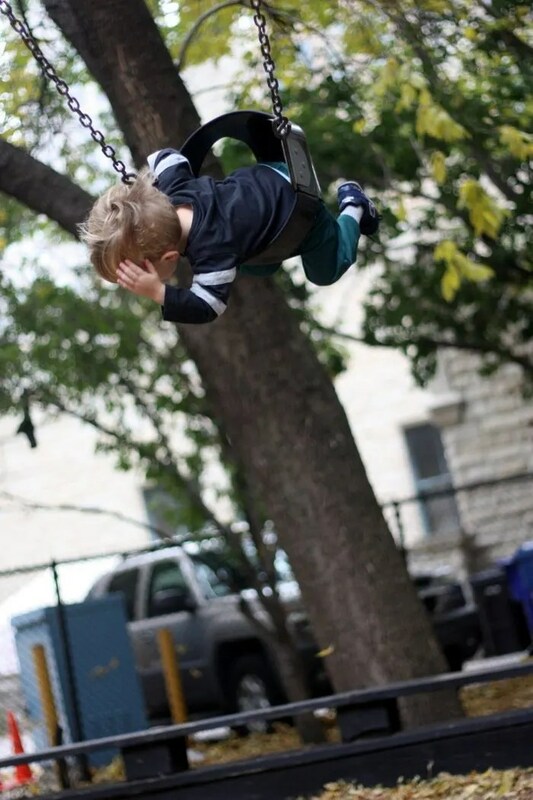 They also are located right next to A. Montgomery Ward Park, a great park that’s relatively new and the kids will definitely love. After Dinner Activities | A. Montgomery Ward Park ~ Whether or not you visit Erie Cafe, definitely check out the park. We take our boys here regularly and they really enjoy it. (That’s T below and you can see the great view of the Willis Tower from the park.) It’s often full of families, but it never feels crowded. Dessert | Eataly ~ After the weekend’s menu, you probably don’t need dessert. But if you’re craving something sweet, Eataly offers a gourmet chocolate counter, gelato and a nutella bar. You’re sure to find something you love. Be forewarned that this place is huge and can feel a little overwhelming. All the dessert options are on the first floor so you don’t have to venture up to the second floor (the really large area), but you could certainly take a peek if you’re feeling ambitious. That should take care of the entire weekend. If you’re getting on a flight Sunday afternoon or Sunday evening, it may be too much to accomplish, but you’ve got two days of activities geared toward kids from which to choose! Staying healthy while traveling can be tough sometimes. I suppose I didn’t offer the healthiest of restaurant options, but eating out at most places just can’t replicate the quality of food we eat in our own kitchens. I wanted to be sure to offer some options that are easy for kids and highlight some of the local spots you can’t find at home. If you’re making the trip, considering packing a little “survival kit” to help you stay healthy. You might think I’m kidding, but we learned the hard way on our travel to Switzerland. We ended up with a terribly teething, temperature-ridden one year old screaming all night in a hotel in Switzerland because we didn’t bring the right medication. Over-the-counter pain medication ~ Learn from our mistakes. All too often, you end up needing this at night when the stores are closed. We always bring this with us now! Thermometer ~ If the boys are ever sick while we travel, which happens more than I’d like to recall, any medical professional always starts the conversation asking if they have a temperature. This takes up so little space and can be a good indicator of just how sick the little ones might be. A great pair of walking shoes ~ During our trips to Europe, I often wore flats. If you prefer more traditional tennis shoes, I walked twelve miles in these bright pink shoes last Saturday, so I can attest that they’ll keep your feet comfortable all day. Water bottles ~ Save yourself some money and bring reusable water bottles. Especially during summer, you’ll be doing lots of walking and it might get warm. (Contrary to popular belief, it does get warm in Chicago for a few days each year.) Even if it’s not super hot, drinking water is good for us anyway! Sippy cups ~ If you have little ones, we like to bring sippy cups to make drinking a little easier for the kiddos. They are also nice to have on the plane during takeoff and landing to help prevent any ear pain from pressure changes. Sunscreen ~ The sun gets decently strong during summer, especially if you spend some time at the beach or near the lake. We’ve opted for the Neutrogena sunscreen (which we also took to Turks & Caicos) because it holds 3 oz so we can throw it in our carry-on luggage while we travel. Sunglasses ~ It’s like sunscreen for your eyes, and it’s just more comfortable. My eyes are really sensitive to the sun, and I get headaches if I’m outside too long without sunglasses. I can barely even see at the beach when the bright sun reflects up off the sand. You’ll definitely want these! Benadryl ~ While traveling, we often try new foods. Our kids are young enough that we haven’t necessarily figured out all of their allergies, and we do have some allergies in the family. Having this around provides a little peace of mind just in case one of the boys reacts to something. Although we don’t often use it, we have used it while on vacation. It’s one of those things we don’t use often, but we’re REALLY glad we have it when we need it. It will also come in handy if your little ones have allergies to things like pollen, given how much time you’ll spend outside. Band-Aids & Neosporin ~ My boys run and play like crazy. They trip and fall all the time and get bumps and bruises like they’re going out of style. 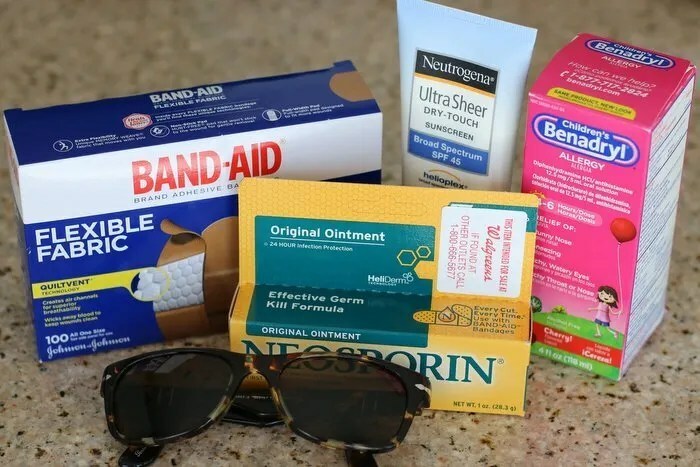 On the off chance (or regular occurrence) that one gets a cut, we certainly need to have band aids and first aid ointment to clean up the cut and prevent any infection. I generally pick up supplies like these and other healthy essential from Johnson and Johnson from Walgreens. I mentioned earlier we’re not far from the original location. 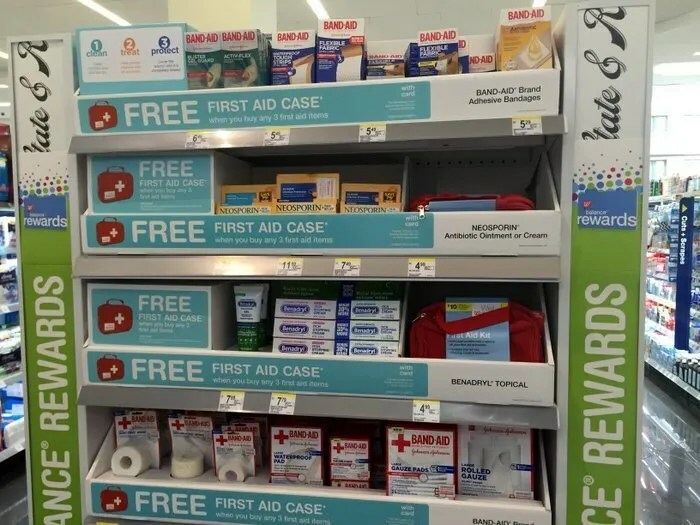 While it pays to have many of these things readily available when you need them, there are plenty of Walgreens locations right down town if you need to pick up some health essentials like the ones I mentioned above. If you head to Walgreens, be sure to use your Balance Rewards. You get points for your purchases that can earn you reward dollars to use in store. In fact, you can also earn points for being active and healthy, like all the walking you’ll be doing on your trip. Record your activity in your Balance Rewards connected app or online in your account and get more points. Check out the website for more details, and then thank Walgreens for paying you to get fit. Doesn’t this sound like a no brainer?! What trips do you have planned for the summer? 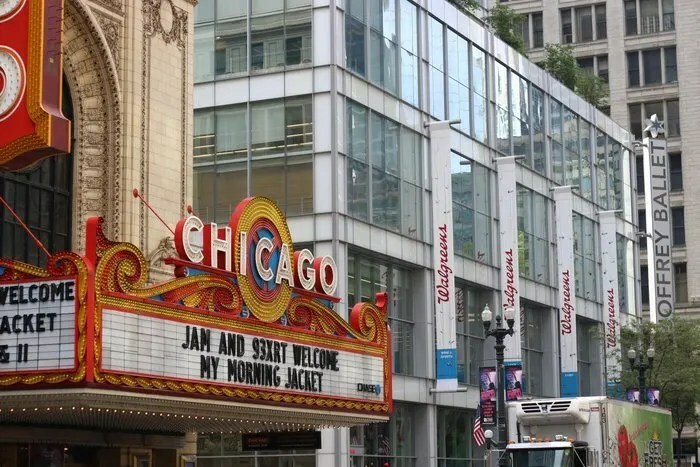 Do you think you’ll be bringing your kids to Chicago? Share in the comments!